1. 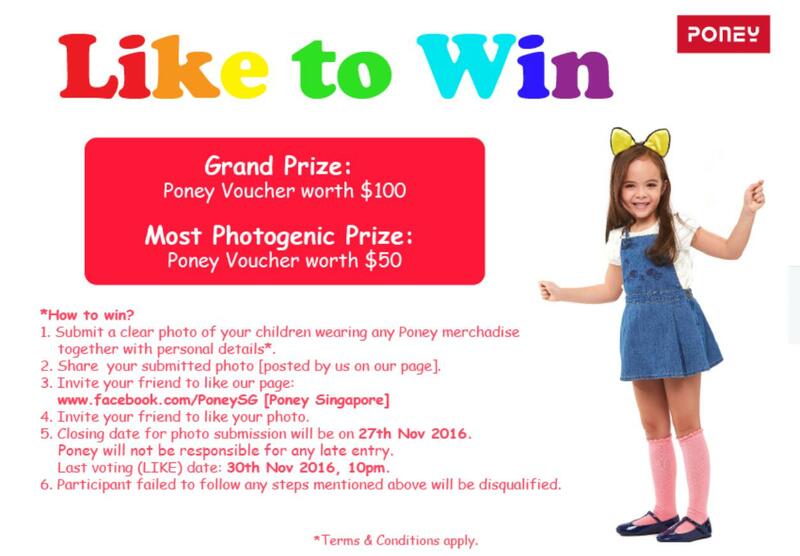 Submit a clear photo of your children wearing any Poney merchadise together with personal details*. 2. Share your submitted photo [posted by us on our page]. 4. Invite your friend to like your photo. 5. Closing date for photo submission will be on 27th Nov 2016. Poney will not be responsible for any late entry. Last voting (LIKE) date: 30th Nov 2016, 10pm. 6. Participant failed to follow any steps mentioned above will be disqualified. Find out more at Poney Singapore.